Clematis recta purpurea is an unusual species of Clematis which is not a climbing plant a tall but has a sprawling, bushy habit. This clematis behaves as an herbaceous perennial and quickly bursts out of the ground in the spring, with fine foliage of an unusual deep smoky-purple shade, fading to bronzed green by mid summer. 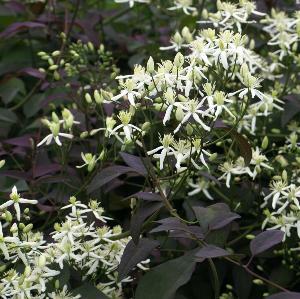 Mature plants produce a good display of fragrant little white star-shaped flowers from early June. 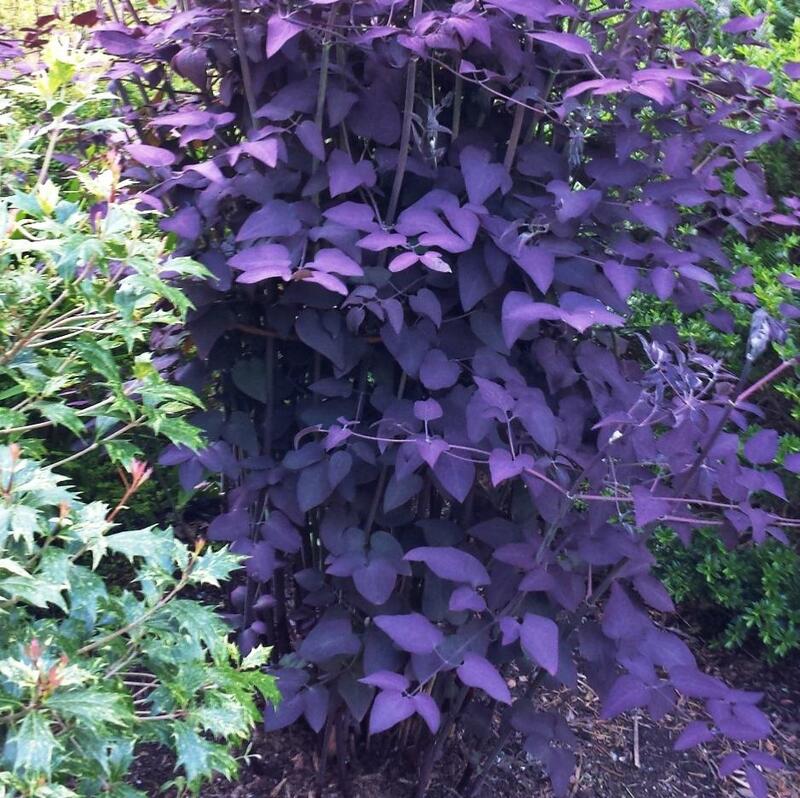 Clematis recta purpurea will require staking, or plants can be allowed to sprawl through an adjacent shrub. Prune to the ground in late autumn or early spring. Makes an interesting cut flower.